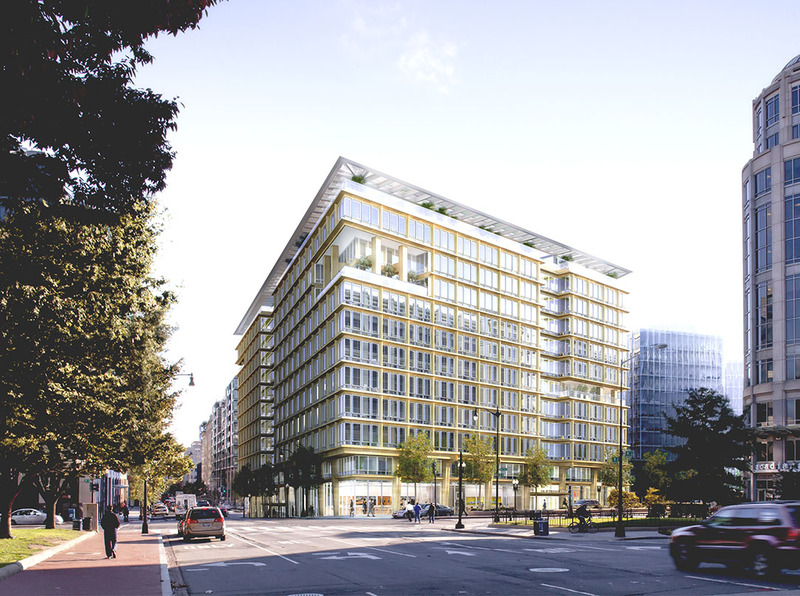 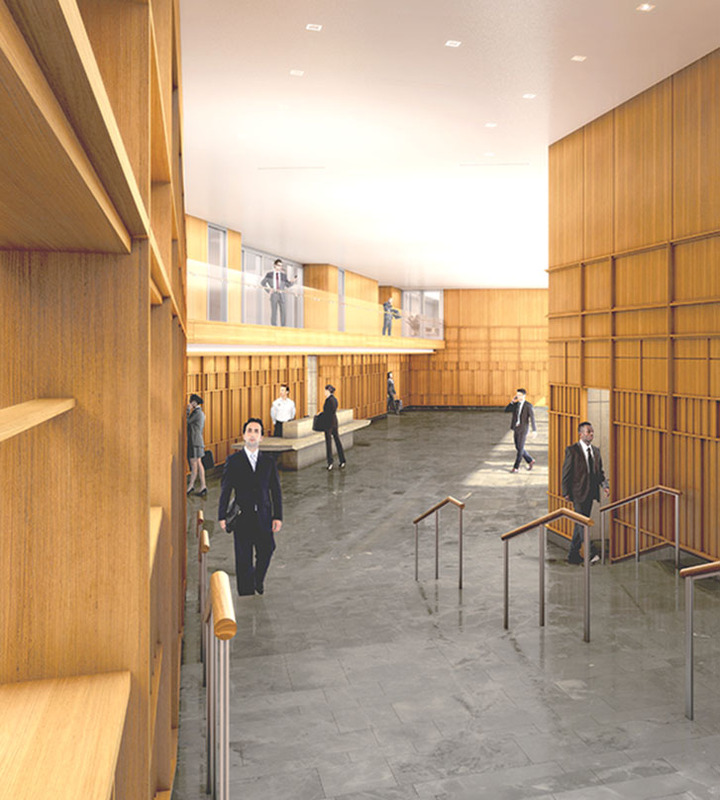 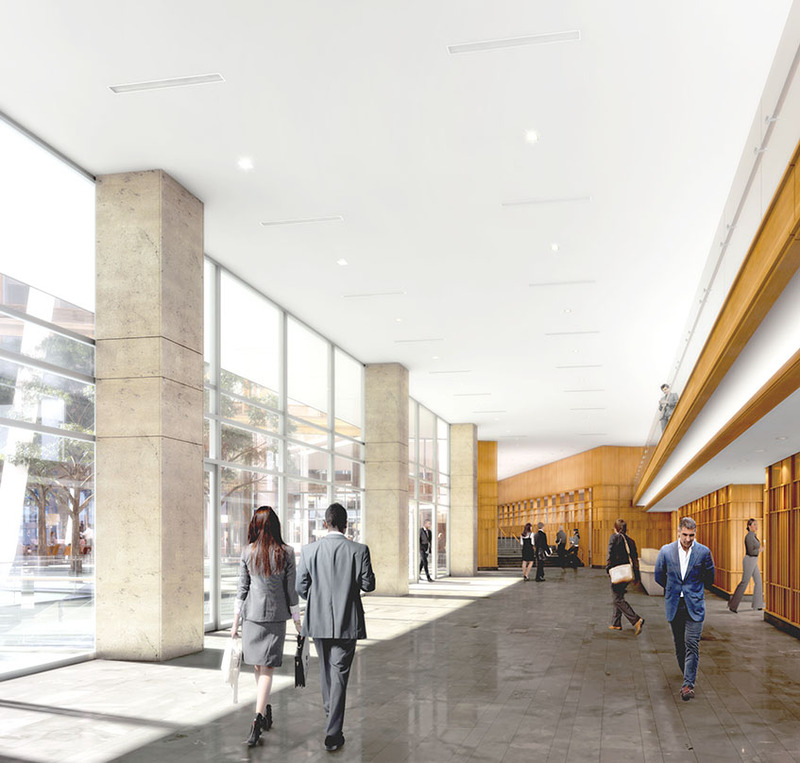 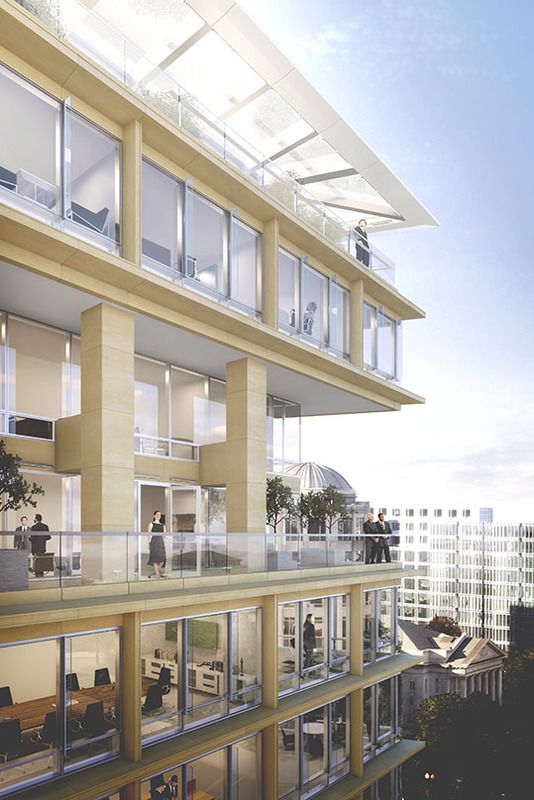 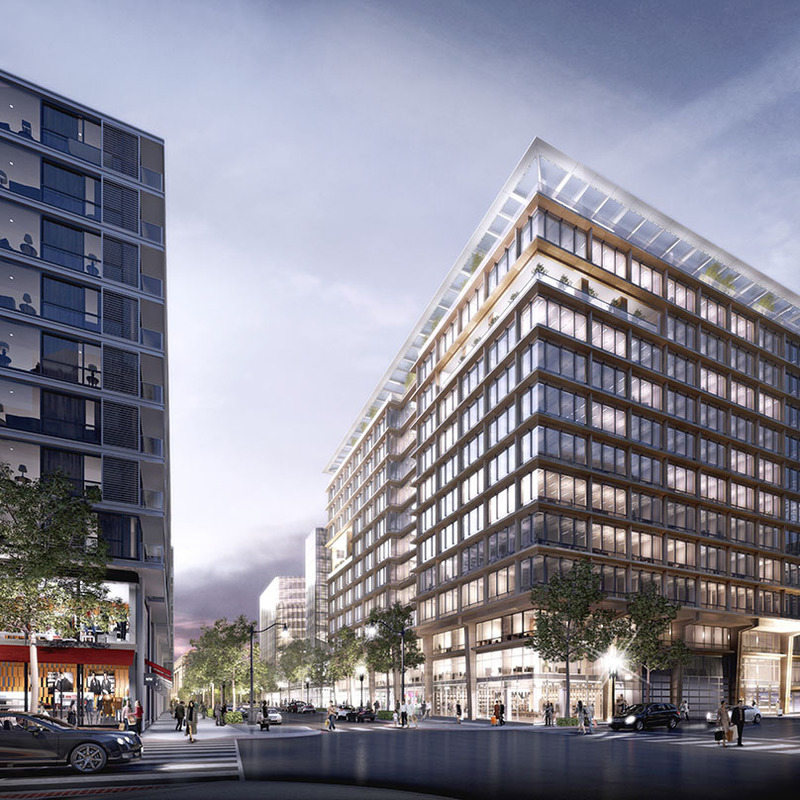 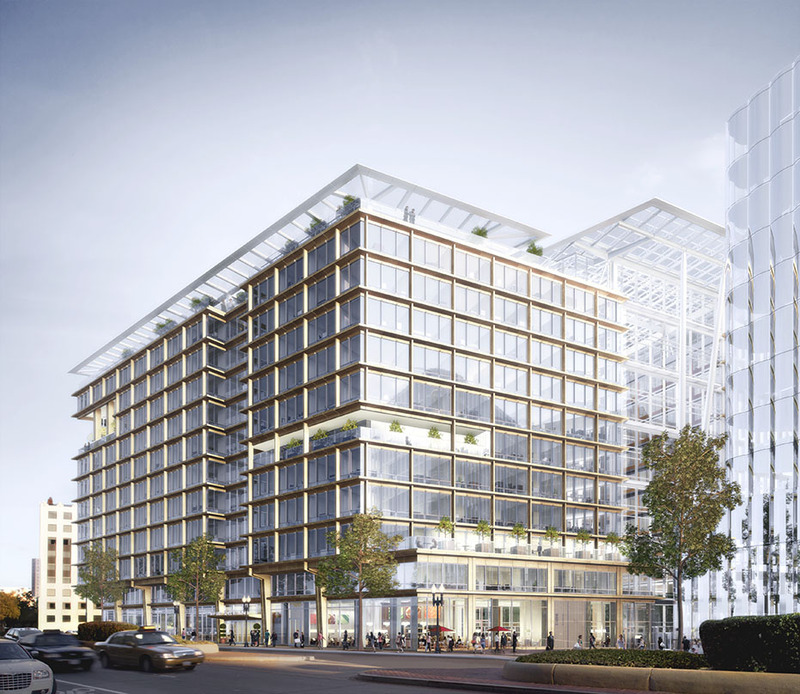 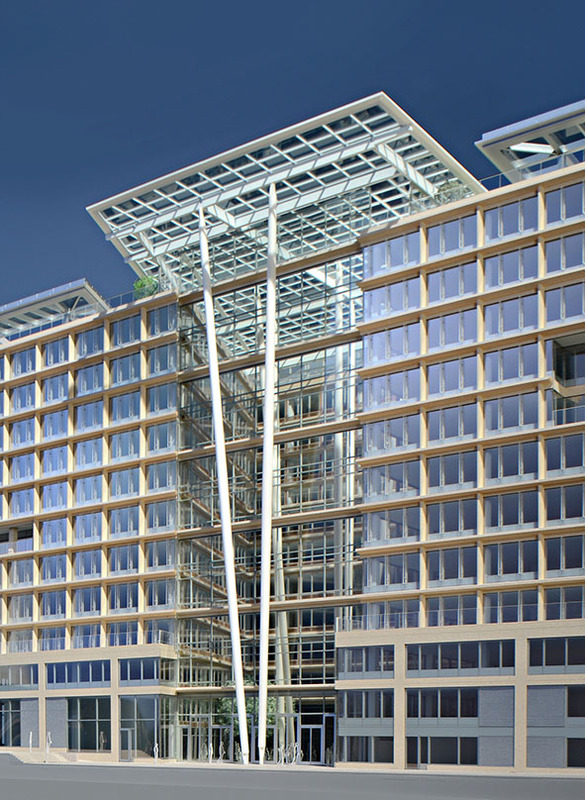 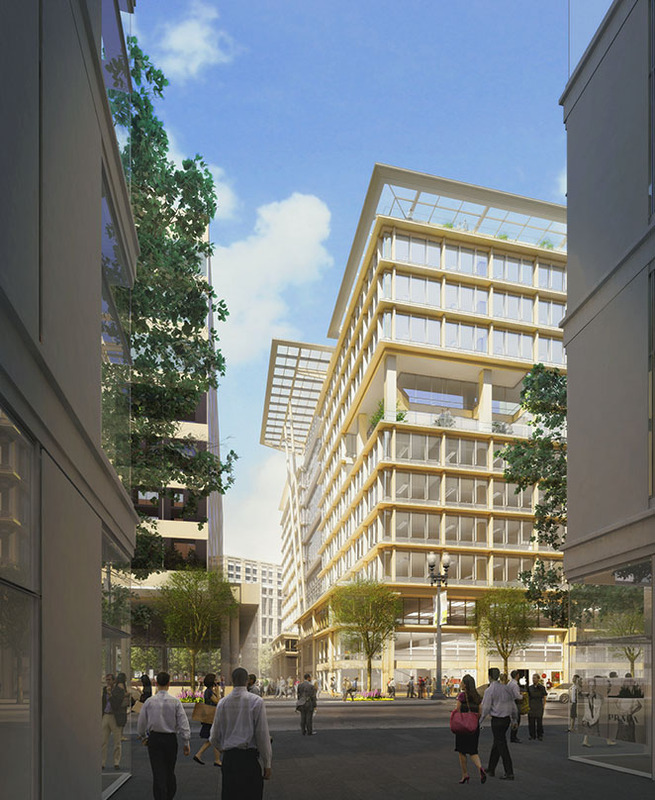 900 New York Avenue NW has been designed to redefine office building standards for 21st century Washington, D.C. Rich natural materials clad the building and grace the interior. 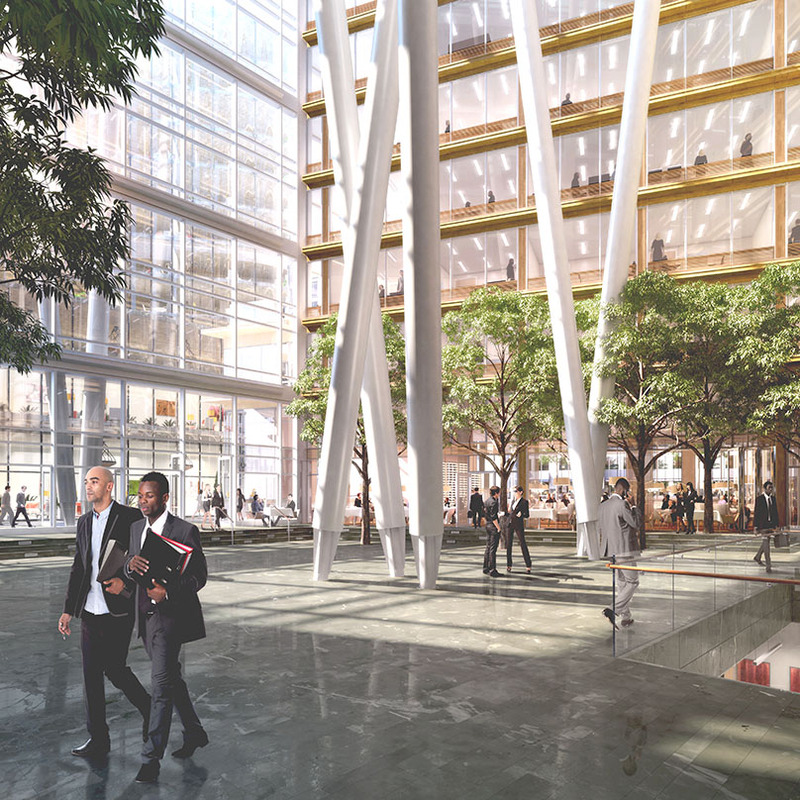 Large floor plates offer flexible space to cater to a broader variety of professional tenants. 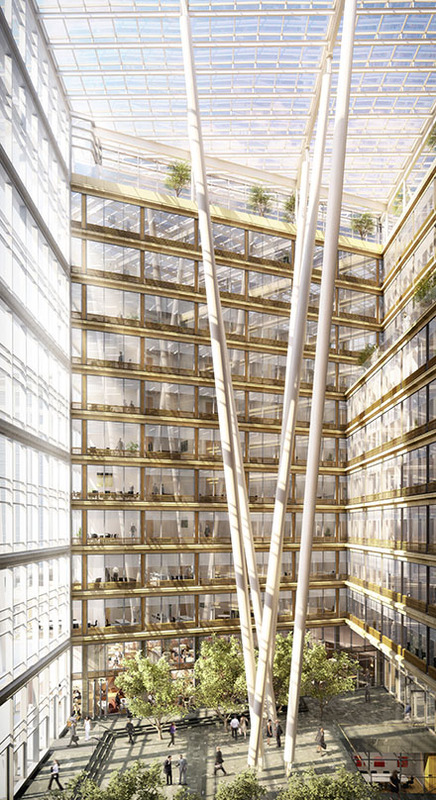 A lush, interior skylight garden serves tenants and their employees for multiple uses throughout the year, and brings abundant natural light to all levels of the building. 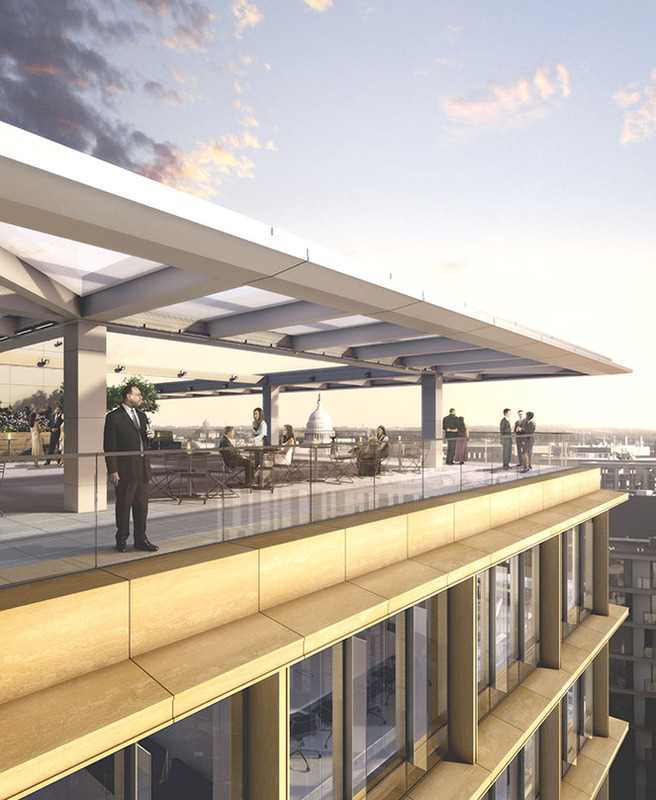 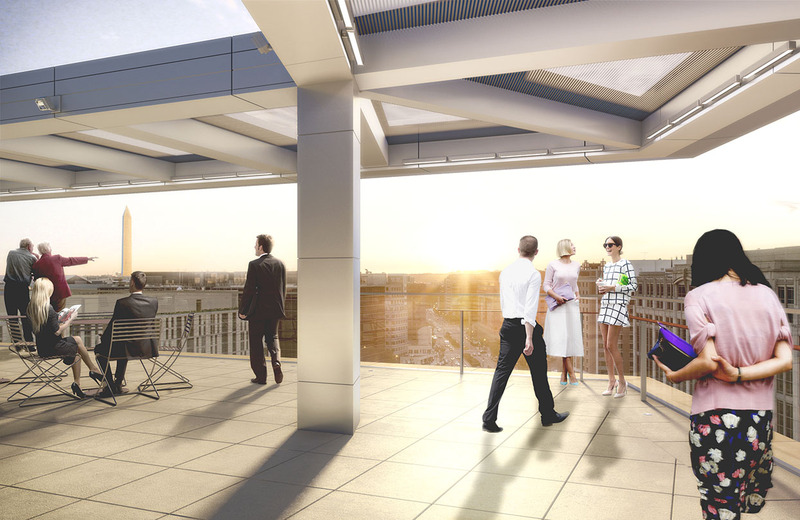 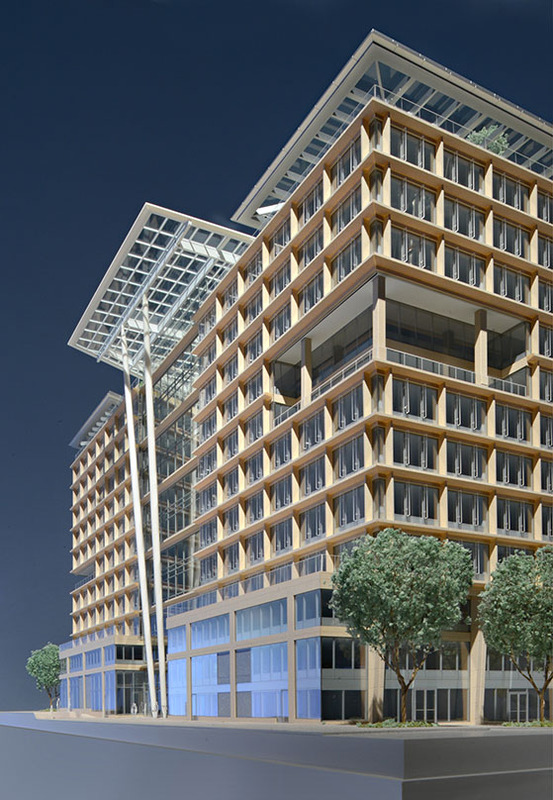 Several landscaped terraces offer tenants access to fresh air while enjoying commanding views of downtown Washington D.C. A green roof with solar photovoltaic panels is among numerous strategies that will contribute to the project achieving a LEED Gold Certification at a minimum. 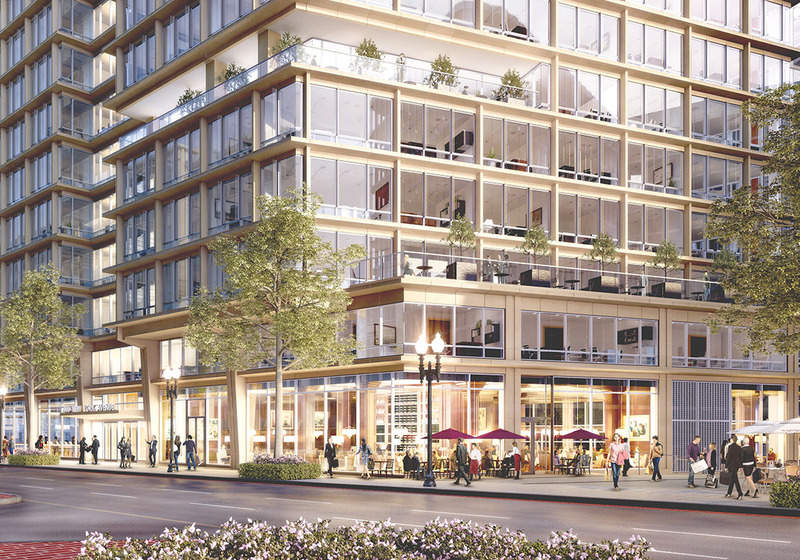 The development further enhances the vitality of the surrounding neighborhood with street-level shops and a new public park.